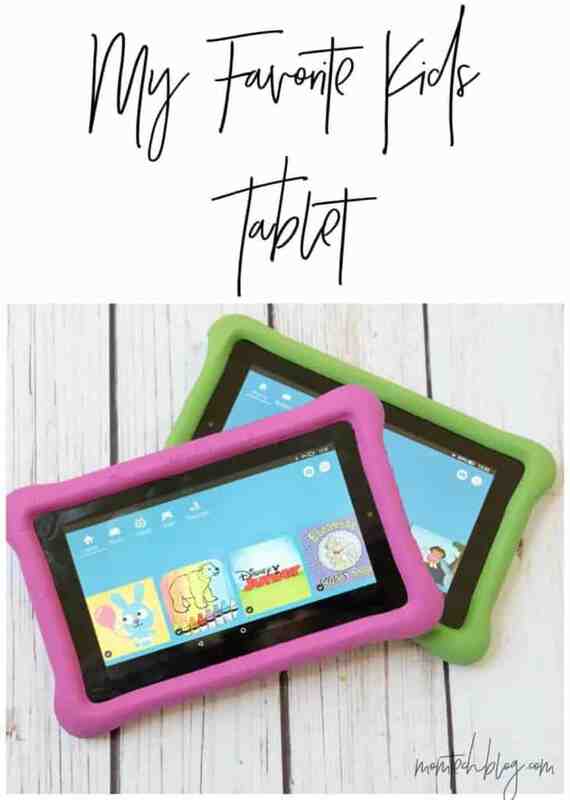 Hi all, I am updating an older post of mine about my favorite kids tablet! First a little background on me. I spent the last 15 years working in IT so I know a little about it. My husband and I are absolute Apple fans and I pretty much only buy their products when it comes to my personal tech. So of course I thought if I got my kid a tablet it would be an iPad ha. I also swore that my child wouldn’t own a tablet or phone until they were in high school…hahaha. When the point came that my three year old daughter (now a five year old) would not leave my phone or iPad alone, I decided it was time to check out my options. While I briefly considered an iPad mini since I knew it could grow with her, I quickly dismissed that idea since 1) it’s ridiculously expensive for a three year old’s gift 2) it seemed like way more functionality and options than she needed and 3) by the time she could use all the features of a rich tablet like an iPad there will be much newer and updated versions. So, with that it was a kid’s tablet I was in search of and after some buying and returning of various items the Fire Kids Edition is what I ended up with. I am now have three children and three Fire Kids Editions. Each version has been better than the last. It’s affordable, for a full feature real tablet this is a bargain. It is actually a regular Fire that comes with the additional kids features. While you can get a Fire alone I think the additional case, 2 year warranty for anything (yes anything!!) and unlimited Amazon FreeTime are worth the small additional cost for the kids version. The size and weight of the Fire is perfect for children. Not too big but also not small. It has multiple profiles you can set up. So multiple children can use it and I can even use it to read my Kindle books when I do not have my Kindle with me. Easy to use parental controls, I can manage everything including what my kids access, how long they can use it, and create educational goals. The battery life seems very comparable to other devices I use and charges quickly. It is easy to use and navigate which is important for a toddler or small child. My daughter mastered this thing and can download what she wants (from approved content) delete items she does not want, switch between apps, use the camera and get to the home screen. This is all great because it can be annoying when a little child is asking you to help them switch between items on a tablet every few minutes. It seems very durable. Despite the 2 year warranty this device has already withstood beverages, food, drops and everything else you expect from a child. 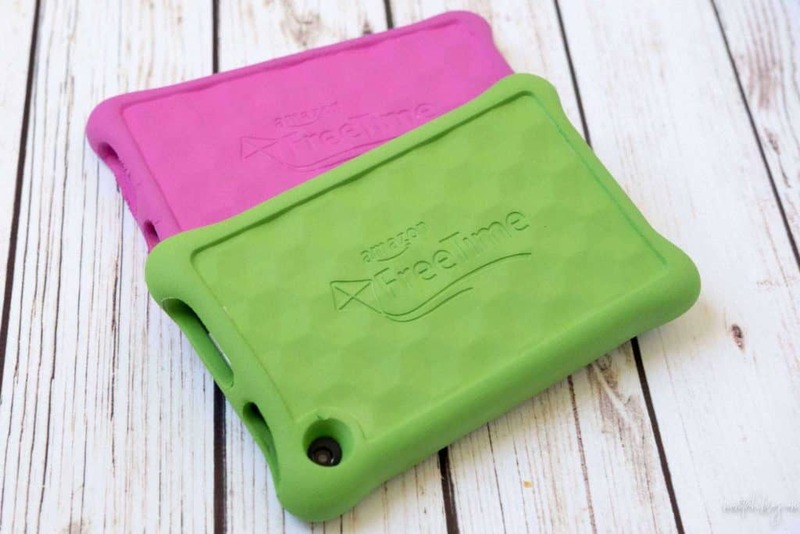 The case that it comes with is very thick and spongy and seems to work well. The screen is not covered by anything but so far, so good. Update* I have now tested the warranty as my five year old broke her screen. I can say the process was easy as can be. I contacted Amazon and they sent me a new Kids Fire Edition and had me ship the old one back. No issues, no big deal. Can’t beat that kind of service! It has a front and rear camera that my daughter finds easy to use. Some of her favorite games on here are educational and fun. The options available on Amazon FreeTime seem endless so there is never boredom or trouble finding a great option to download. This includes apps, games, movies and books that have all of her beloved and well known characters as well as some new ones. Comes with Wifi and bluetooth, and there is a spot for headphones to attach. CPU and RAM specs are good for a tablet this size. I used to have them listed here but they have improved with every new version and change so I will leave those specs to my more detailed product reviews. 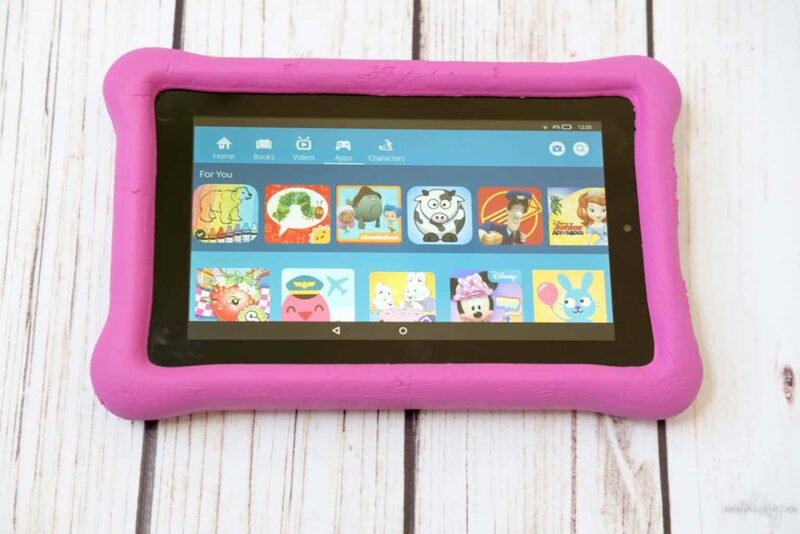 I hope this has helped anyone looking for a tablet for their young child. I wasn’t sure I should cross the line of getting my daughter a tablet, but years later I can say we love it and now her younger brother has his own too. While I don’t want the screen to rule my children’s lives, as parents we always worry whether we are making the right choices with a purchase like this. 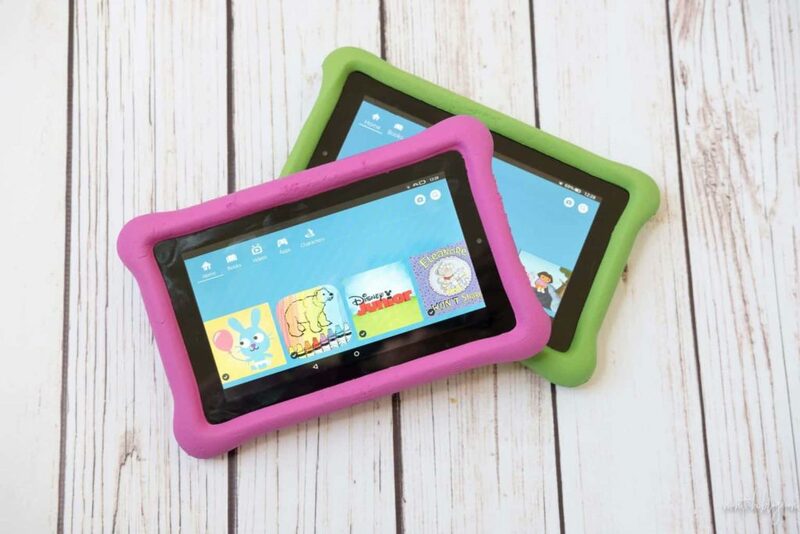 I believe everything in moderation is fine, and this a wonderful device for young kids with lots of parental controls built in to give you the confidence and options to manage it all. You can find it here at Amazon of course!